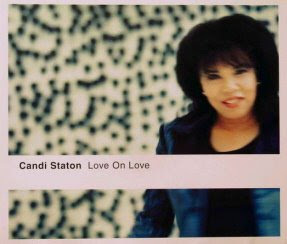 In a career that now spans over fifty years, singer Candi Staton has traversed a range of musical styles, beginning with her first love gospel, through the prevailing stylistic winds of soul, pop, blues and disco, before returning to a faith based expression of her gift in recent years. Throughout, Staton has lent her rare vocal talent to a series of highly popular singles and albums, but here in Australia her profile is all but limited to an association with the 1976 top five pop-disco hit ‘Young Hearts Run Free’, a song that helped define an era in popular music, and experienced a revival of its own two decades after it first ran free on the pop charts. 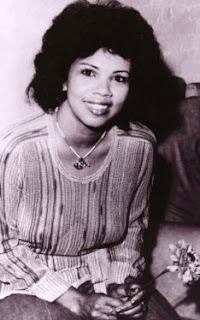 Candi Staton was born Canzetta Staton-Sussewell during 1942, in the town of Hanceville, Alabama, one of six children brought up in a family that regularly attended the local Pentecostal church. At the tender age of four, Candi began her performance career when she sang her first solo at a church service. Candi and her older sister Maggie became regular’s in the church choir, and for a time formed their own gospel singing group (with two friends), called the Four Golden Echoes. Upon relocating to Cleveland, Candi and her sister Maggie formed a new group (alongside Naomi Harrison), called the Jewel Gospel Trio. During her early teen years, Candi toured with the trio nationally, and performed alongside the likes of the Staple Singers and Aretha Franklin. The Jewel Gospel Trio even released several gospel style singles during the late 50s/early 60s. By the early 60s Staton left the Jewel Gospel Trio, married, and had four children. Over the course of the 60s she focussed all her energies on raising a family, in a difficult domestic environment. By the late 60s the marriage had ended, and Candi Staton returned to singing, initially as a means to make ends meet. The first few months were a struggle, but after she won a local talent contest, Staton received the break that would launch her solo singing career. The grand prize for winning was an opening slot on blind singer/guitarist Clarence Carter’s show. Staton impressed so much, she continued on to back Carter (biggest hit ‘Patches’, among others) on his national tour. Not only did Staton find a new husband in Carter, but he introduced her to his producer Rick Hall. Hall immediately recognised Staton’s extraordinary vocal talent, and soon organised a recording deal for her with a subsidiary of Capitol Records, Fame. 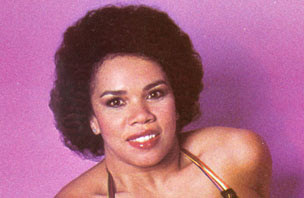 A twenty year veteran of the business, and twice married mother of four, Candi Staton didn’t exactly fit the run of the mill profile for an up and coming singing sensation, but it mattered not when her first single, ‘I’d Rather Be An Old Man’s Sweetheart) Than A Young Man’s Fool)’, soared up the R&B charts during mid 1969, and peaked at #46 on the U.S. Hot 100. Producer Rick Hall then helmed Staton’s 1969 debut album ‘I’m Just A Prisoner’ (US#37-R&B), a set that astutely blended R&B, blues and country, that came under the banner of ‘Southern soul’, and realised a US#56 single with the title track. 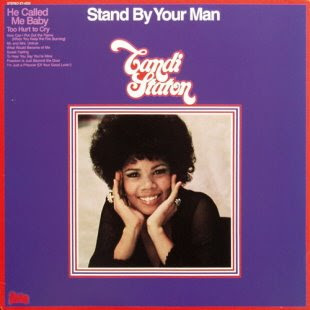 ‘Sweet Feeling’ (US#60) kept Candi Staton on the airwaves and in the charts during mid ‘70 and was the lead out single from her sophomore set ‘Stand By Your Man’ (US#12-R&B), which also featured an up tempo cover of the old Tammy Wynette hit, with Staton’s rendition peaking at #24 nationally. The success of ‘Stand By Your Man’ soon had Staton being referred to affectionately a ‘The First Lady of Southern Soul’. The single ‘He Called Me Baby’ (US#51) carried Staton’s run of chart success into 1971. 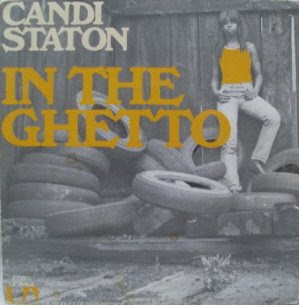 In 1972, Staton released a cover of ‘In The Ghetto’ (US#48), earning her a second Grammy nomination in as many years, and a letter of congratulations from the King himself. Staton was now headlining her own tours, whilst the hits kept coming in the form of ‘Lovin’ You, Lovin’ Me’ (US#83) and ‘Do It In The Name Of Love’ (US#63). Her 1973 self titled album represented Staton’s final outing on the Fame label, and final release (for the time being) under the stylistic umbrella of ‘Southern soul’. By 1974 Staton had divorced Clarence Carter, and signed a new recording deal with Warner Bros. The ‘Southern soul’ movement had lost its commercial edge, but the first rumblings of disco were being felt at the grass roots level. Numerous artists, who had previously mastered the soul/R&B styles, were now looking to catch the next big wave. Staton, with producer Rick Hall still by her side, began the task of transforming herself from ‘Sweetheart of Soul’ to ‘disco diva’. 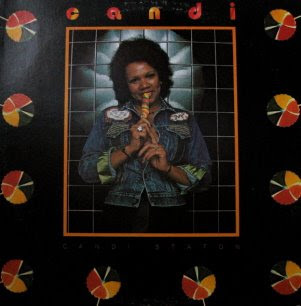 In late ‘74, the album ‘Candi’ (US#54-R&B) marked the first stage of metamorphosis, yielding the US#51 hit ‘As Long As He Takes Care of Home’, which featured backing vocals from RCR (Donna Rhodes, Sandra Chalmers & Charles Rhodes), who later scored a minor hit in 1980 with ‘Scandal’ (US#94). 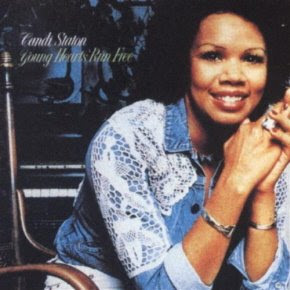 To complete the transition to ‘disco diva’, Candi Staton enlisted the production services of Dave Crawford for her 1976 album ‘Young Hearts Run Free’ (UK#34/OZ#27/ US#14-R&B). At the time, Staton was experiencing another difficult phase in her personal life, with the breakdown of her third marriage. Dave Crawford used that as part inspiration to pen the album’s title track ‘Young Hearts Run Free’. Born of tumultuous personal circumstances, the song would provide Candi Staton with the commercial high point of her career. The pop-disco track was soon packing out dance floors, and by May ‘76 had debuted on both American and British mainstream charts. ‘Young Heart Run Free’ peaked at #20 in the U.S., #2 in Britain, and ran freely all the way to #4 in Australia. It became one of the defining songs of the early disco era, and would return Candi Staton to the British charts twice more, in 1986 (#47), and again during 1999 (UK#29). In 1997 ‘Young Hearts Run Free’ returned to the top 20, this time for London based singer Kym Mazelle (UK#20/OZ#11), the song bursting back into life via its inclusion in the hit Baz Luhrmann film ‘Romeo + Juliet’. The album was Staton’s first sans producer Rick Hall, and debut effort outside of Hall’s Muscle Shoals studio environment. It also featured a swag of respected L.A. session players, including a young guitarist by the name of Ray Parker Jr. (see July 08 post). Musically, Staton retained some of her soul roots, but immersed within an ether of urban dance rhythms, though the showcase ballads continued to feature with the likes of ‘Summertime With You’. The pop-dance track ‘Destiny’ (UK#41) further consolidated Staton’s emergence as a pop-disco diva of note, though not on the same step of the disco diva dais as Donna Summer. During mid ‘77, Staton returned to the British top ten (#6) with a cover of the 1975 Bee Gees’ hit ‘Nights On Broadway’ (pretty safe ground to release anything Bee Gees related at that point). The track was featured on Staton’s follow up album ‘Music Speaks Louder Than Words’ (US#46-R&B). Though Staton’s profile remained high during the late 70s, she only returned to the singles charts once more in that period, with the 1978 UK#48 ‘Honestly I Do Love You’, lifted from her ‘House of Love’ album (US#19-R&B). Her final jaunt with Warner Bros. came via the 1979 album ‘Chance’ (US#23-R&B), but though album sales remained solid, the flow of hit singles had dried up, which contributed to Staton parting ways with Warner Bros. soon after. In 1981 Staton signed to Joe and Sylvia Robinson’s Sugar Hill Records label, and reunited with producer Dave Crawford on the album ‘Nightlites’. The album sold in modest numbers, but did spawn a UK#31 with Staton’s up tempo pop rendition of Elvis Presley’s ‘Suspicious Minds’ in early ‘82. Actually, ‘Nightlites’ was less of an album, and more an EP, containing just seven tracks in all. 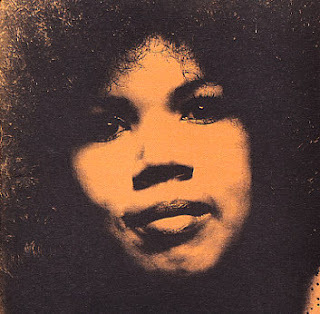 More significantly, Candi Staton was undergoing a personal crisis at the time, one that would be brought to a close by a return to her Christian faith. Former Ashford & Simpson (see Sep 08 post) drummer John Sussewell, who had also played with the likes of Diana Ross and Steve Winwood, met and married Staton, and the couple soon after founded Beracah Ministries in Atlanta. Staton subsequently devoted her vocal talents to recording gospel style albums on the couples own Beracah label, beginning with 1983’s Grammy nominated ‘Make Me An Instrument’ (US#7-Gospel). Staton has recorded a string of faith based albums over the ensuing two decades, including the Grammy nominated effort ‘Sing A Song’ (1987). Staton ensured the music retained some of the earlier flare of her disco era material, and has labelled her style as ‘Gosco’. 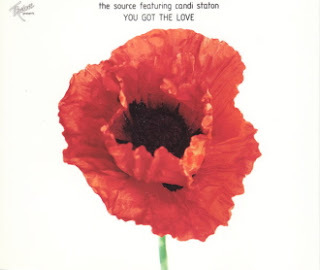 Staton also maintained ties with the mainstream popular music scene, and in 1986 provided vocals for the club-style dance hit ‘You Got The Love’ by The Source (one brilliant piece of music). The song was re-released in 1991, peaked at #4 on the British charts, and went on to sell in excess of two million copies (a remix hit #3 in Britain during 1997). Who's Johnny? And Who Is DeBarge?